Previously Whenever it was about Gold jewellery I have always said a big No No to it. I don't know Why Actually I do that maybe because The bling or Something else but after my style keep on changing I have been trying lots of new things in my life, I'm kind of getting the vibe and the balance to care everything. If I wear gold it have to be balances of bling and a typical gold jewellery And in between everything and to be honest only few labels can comes to my expectations. And One of them are my recent favourite site Amrapali Jewels after checking their site I could not resist it #Girlsproblems. Seriously The jewellers are so well made and I just Love everything about it. And the items are so timeless and effortless that goes with any kind of look from western to ethnic. Just like I have style this with My little black dress and Extremely sorry for another little black dress. 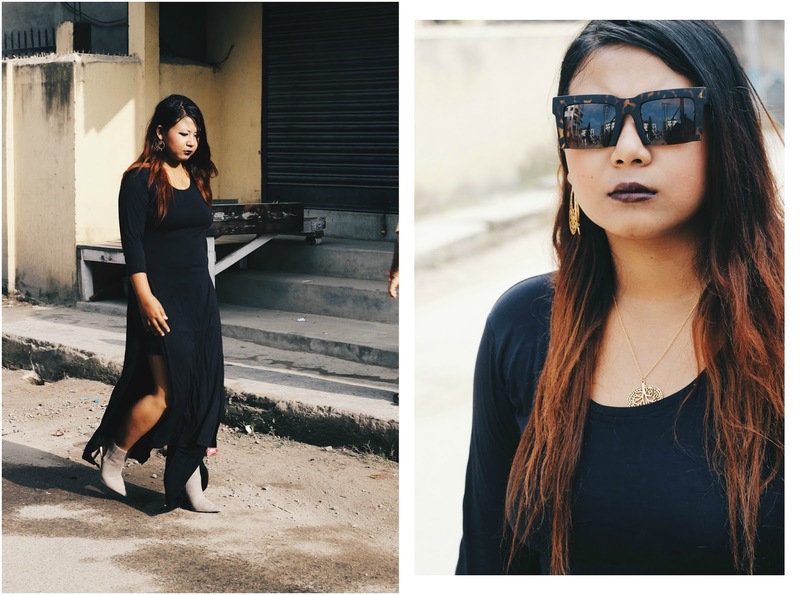 It's like thing is going on my blog that I have to come with lBD post on every month but as well We all know that they looks amazing every time.